Collision repairers might find themselves in the future changing more airbags on Hyundais and Kias. The OEM announced Wednesday it was working on and sought to commercialize “the world’s first multi-collision airbag system” which can trigger in situations where the vehicle hits something else after the initial collision — something Hyundai says happens in three out of 10 crashes. Traditional airbags won’t necessarily fire to protect occupants in a second crash (for example, a crash between two vehicles that sends one into a tree) if the initial collision wasn’t strong enough to trigger the airbag, according to Hyundai. 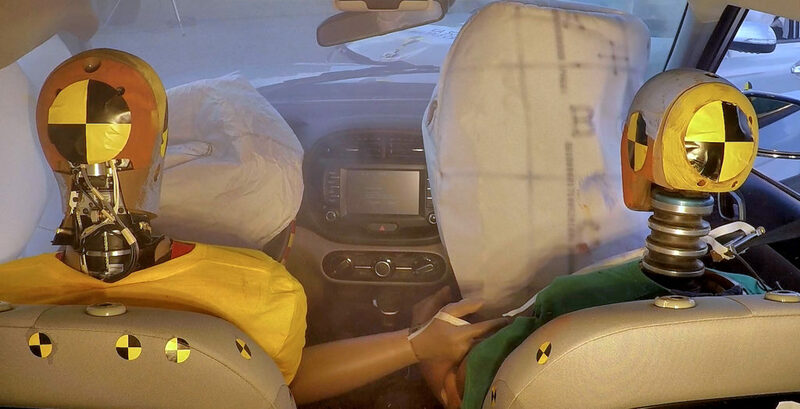 “However, the multi-collision airbag system allows airbags to deploy effectively upon a secondary impact by calibrating the status of the vehicle and the occupants,” the OEM wrote in a news release. Hyundai global PR spokesman Junghyun Kim explained that a traditional airbag could still detect a second crash and deploy. 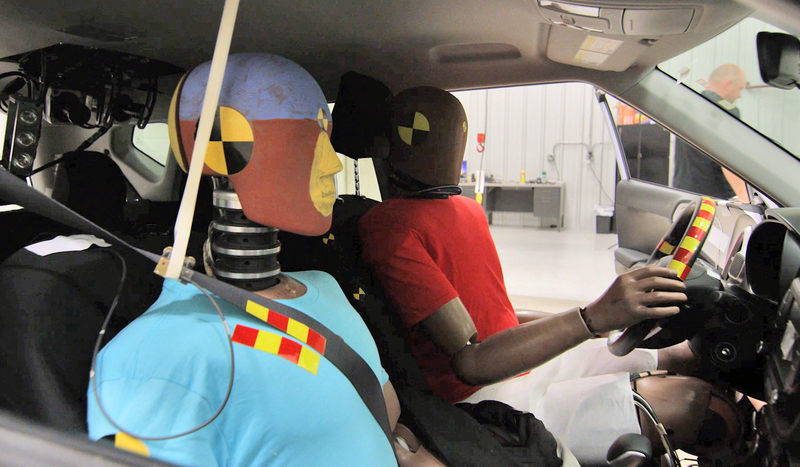 However, if the vehicle occupants are forced into an unusual position (which we’d assume is anything other than the sitting-still-looking-straight-ahead pose of crash test dummies), you might want the airbag to blow at a lower impact threshold to protect them, according to Kim. “Our newest airbag technology deploys effectively upon a secondary impact by calibrating the sensitivity of the vehicle,” Kim wrote in an email Friday. “It also factors unusual movement of the occupants to deploy the airbags even quicker. Hyundai said the technology determines if the first crash forced occupants into a position that wasn’t sufficiently protected by other vehicle safety systems and fires if a second crash is detected. Hyundai reported that 30.8 percent of the multi-collision accidents tracked between 2000-12 by NHTSA’s Crashworthiness Data System involved a struck vehicle crossing over the center line. 13.5 percent saw vehicles struck while stopped at tollgates, 8 percent impacted the highway median and 4 percent hit or sideswiped trees or electric poles. Kim wrote that Hyundai didn’t calculate the occupant’s position with “dedicated sensors” or technology like a driver-facing camera. 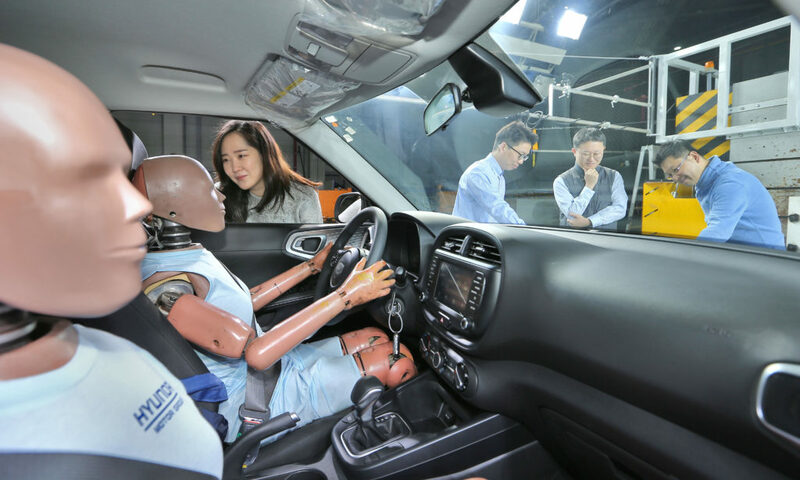 “However we have collected every possible scenarios of occupants’ position possibilities through various simulation tests and actual vehicle tests in order to calibrate the optimal time and strength for the airbag to deploy,” Kim wrote. Repairers will likely have to replace more airbags which wouldn’t have blown under the old airbag tech but would under the new system. However, the physical parts on the vehicle won’t change — Hyundai doesn’t have to use a new type of airbag or add more sensors to make the technology work, according to Hyundai global PR spokesman Junghyun Kim.